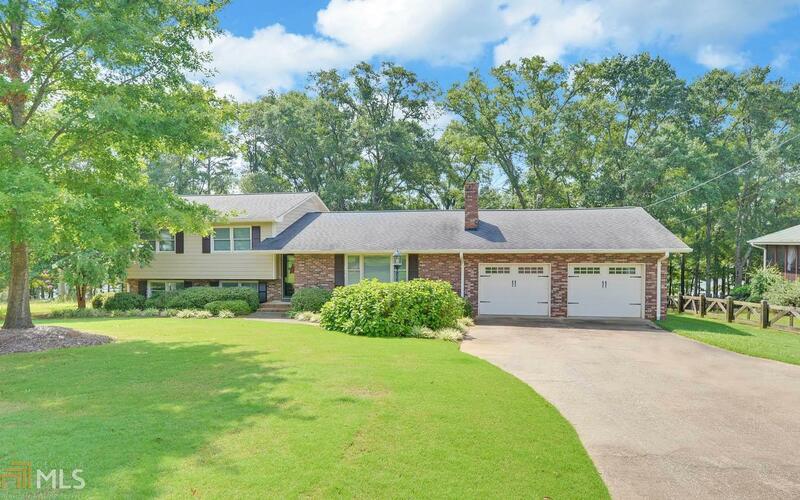 Gorgeous, completely updated 3 or 4 bedroom, 3 bath home with 2073 SF located on beautiful Lake Hartwell. Great room with open floor plan, hardwood floors and a fireplace overlooking the lake. The kitchen has solid oak custom cabinets, new granite counter tops,an island / breakfast bar plus all the appliances. The spacious master suite overlooks the lake and has a spacious bath with a new tile shower. Oversized screened-in porch with large, open deck. Concrete sidewalk leading down a level walk to the covered dock with boat lift on deep water. Irrigation system hooked to a private drilled well and county water to house. Double attached garage plus a large storage closet for all your lake toys! Perfect full time home or great weekend home for the family. Directions: From Hartwell: Travel Hwy 51w/Howell St Toward Lavonia. Right On Beacon Light Rd. Immediate Right On Old Beacon Light Rd. Right On George Burns Lane To Home On The Right.